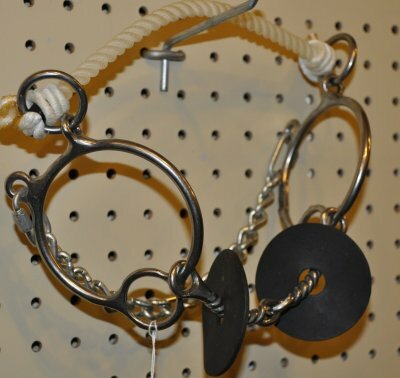 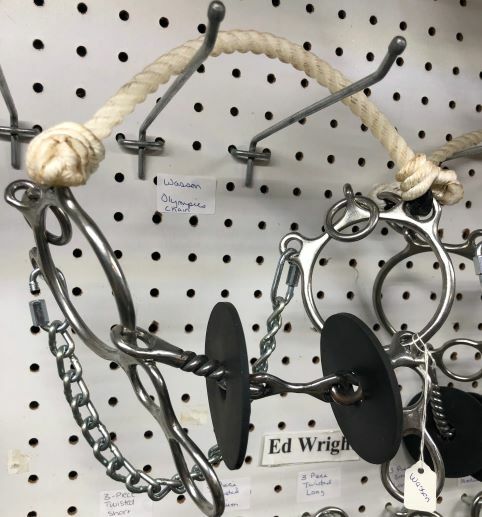 The Long Shank Combination Bit features a 3 piece twisted wire mouthpiece with a dog bone snaffle. 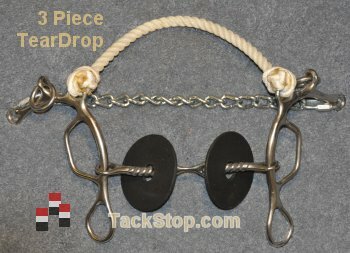 It distributes even pressure on nose, corners of mouth, bars, curb and poll, making the bit more comfortable for the horse. 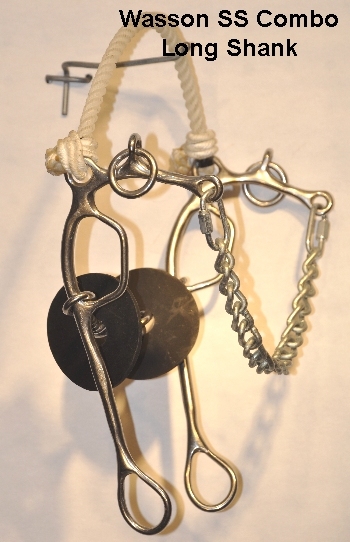 This is a slightly different version of the famous "Million Dollar Bit" or SS Combo. 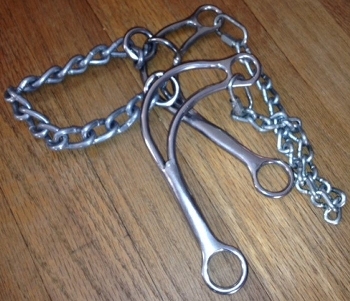 The shanks are a shorter tear drop about 5" whereas the Million Dollar bit is about 7 inch shank.